I hate same-old; same-old. Although I love consistency. And thus the battle that happens constantly in my brain. I guess I should explain. Some things are so important to have consistency: things like wall colors (in a small house), fonts (within a brand), brand colors, design style sheets (like keyline strokes, margins and the like), etc. That’s not what I’m talking about this blog. Instead, I’m talking about being different. You know, peculiar! Creative types have this rap: we’re a little odd. We like to think differently. We like to stir the pot. Business Idea. I hope your business is doing something different. There are far too many companies who decide to start doing exactly what another company is doing. Granted, for some industries, there’s enough room for several in your category. But success comes in doing something so overwhelmingly different. Taking the risk and doing it! As an aside, if you do have lots of competition, make sure you claim a “different” brand positioning to differentiate yourself! Promotional Ideas. You have a product or service. 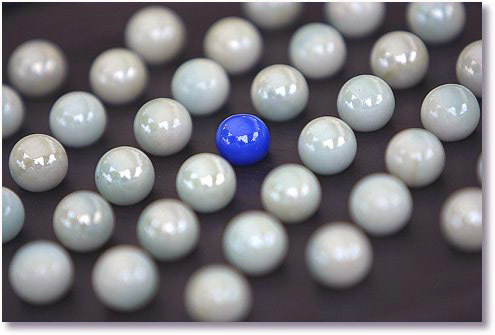 And you have to be different/peculiar/unique in the way you promote or market it! Think so creatively that people will notice. How do you get the attention of your audience and then get your message out? The more creative you are, the better! Make sure that the “uniqueness” points to your key benefits. Running your Business. Everyday, I realize that I have to solve problems. With clients, with employees, with projects, etc. Don’t get me wrong, I LOVE business management books. And there’s a vein of consistent principles that run through them all. But take the Google’s or Apple’s of the world — they operate within a business framework; yet wildly different. I’m challenged every day to try new things and operating uniquely. Let’s be peculiar together! It’s not one of those words that we love to be called — but it simply means to be distinctive. And your business would be better off if people thought of it as that!